Most bottleLess water cooler companies out there still require you to rent your cooler. But times have changed. 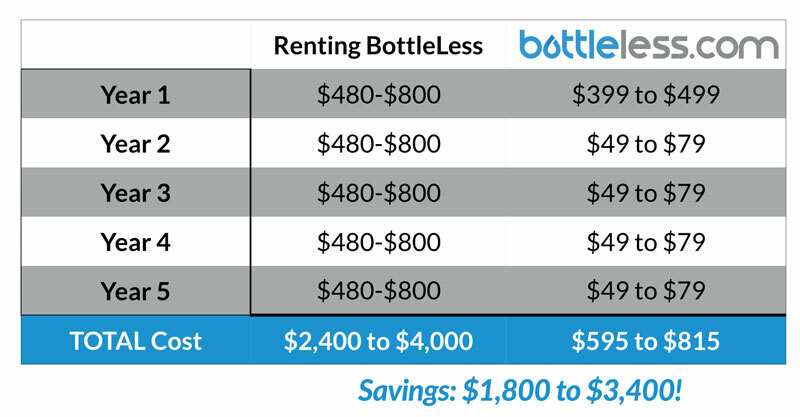 There’s just no need to rent and rent when you can purchase a high-quality bottleLess water cooler from BottleLess.com. You’ll never pay another rental fee (or buy another expensive, heavy water bottle again)! Companies that rent bottleLess coolers would require that you sign contract for anywhere from 3 to 5-years. You’re chained to your cooler for years and years. What happens at the end of the rental agreement? Well, you need to continue to rent some more. You never own anything. It never ends. Just compare the savings of an BottleLess cooler to renting. Let’s say their cooler rents for $40/month – or $480 a year. In your first year, you’d pay them MORE than what it could cost to OWN one BottleLess.com cooler. In years 2, 3, 4 (and so on), you’re still obligated to pay them the $480. But a BottleLess.com Cooler has one ongoing expense – changing the filters once or twice a year. Each filter change costs only $49.95 (or less, if you buy 2 ore more). You’ll easily save over $1,000! Besides, You Don’t Rent Your Fax – Do You? When fax machines were first introduced, companies rented them. It’s funny to think about it now because it was such a ripoff. We guess many were a little nervous about the “technology”. 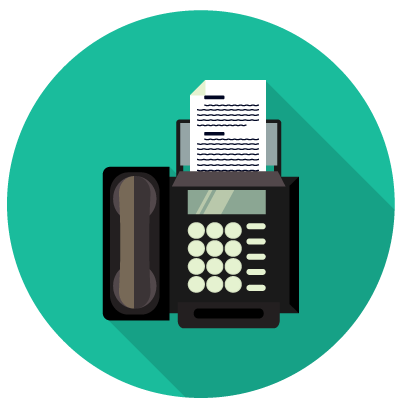 However, people learned that fax machines didn’t require any special skills to operate or service – only require cartridge changing – and switched to purchasing them. The same principle applies to a BottleLess.com coolers. They are virtually maintenance-free, so why rent them? The savings is dramatic! You could purchase multiple BottleLess.com coolers for the same price you’d pay to rent one from our competitors! Um… does anyone use a fax machine any more? Copyright 2019 © XO Environmental, LLC. All rights reserved.